There are many different types of Brand Names. Some are unique and interesting, and some are more generic and bland. 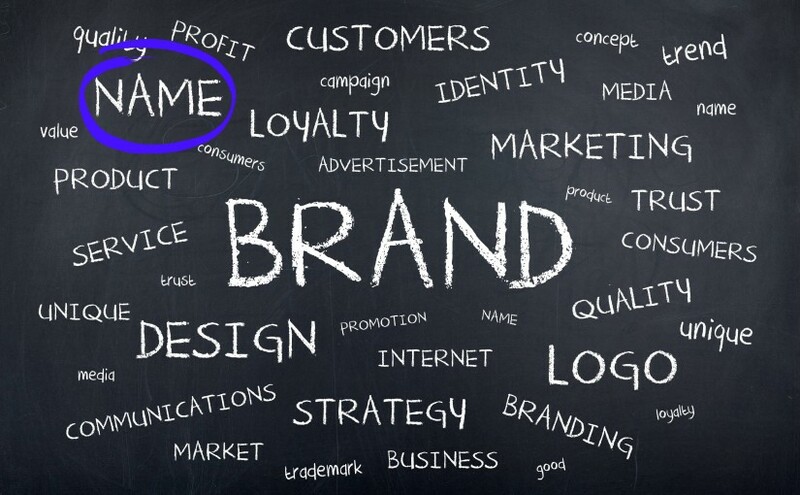 Start by deciding this, what type of Brand Name are you looking for? Founder: Many great companies have been named after the founders: Dell Computer, Chrysler, Merrill Lynch, Ben & Jerry’s, Charles Schwab, etc. The benefit of using a name is that it is easier to protect. It satisfies an ego. The downside is that in itself it is not very descriptive of what a company does. Descriptive: These names accurately convey the nature of the business, such as Toys R Us, Bed, Bath, & Beyond, or PayPal. The benefit of a descriptive name is that it clearly communicates the intent of the company. The potential disadvantage is that as a company grows and decides to diversify, the name may become limiting. Some descriptive names are difficult to protect since they can be so generic. Fabricated: These names are made up, such as Microsoft, Exxon, Kodak, Xerox, or Agilent. The advantage of this type of name is that it may be easier to copyright. It is certainly distinctive, but a company must invest a significant amount of capital into educating its market as to the nature of the business, service, or product. Häagen-Dazs is a fabricated foreign word that has been extremely effective in the consumer market. Metaphor: Things, places, people, animals, processes, mythological names, or foreign words are used in this type of name to allude to a quality of a company. These names are interesting to visualize and can often tell a good story. Oracle, Nike, Starbucks, and Sprint are some excellent examples. Acronym: These names are difficult to remember, difficult to copyright, and hard to look up in the phone book. Acronyms such as IBM and GE became well known only after the companies established themselves with the full spelling of their names. There are so many acronyms that new ones are increasingly more difficult to learn and require a substantial investment in advertising. Other examples: USAA, AARP, DKNY, and CNN. Combinations of the above: Some of the best names combine these categories. Some good examples are Cingular Wireless, Citibank, and Templeton Funds. It is well documented that customers and investors like names that they can understand. Is it Meaningful? It needs to communicate something about the nature of the company to its target market. It has to support the image that the company wants to covey. Is it Memorable? It’s should be distinctive as well as easy to remember, pronounce, and spell. It needs to be different from the competition, and have a unique personality. Is it Future-Oriented? It should position the company for growth, change, and success. It will allow the company to build brand extensions with ease. It has to be adaptive and work on the Internet. It needs sustainability. Is it Protectable? It can be owned and trademarked. The domain is available. Is it Positive? It needs to have positive connotations in the markets served. It shouldn’t have strong negative connotations. Is it Visual? It will lend itself well to graphic presentation and multimedia.